I am the Flannel Friday host this week! 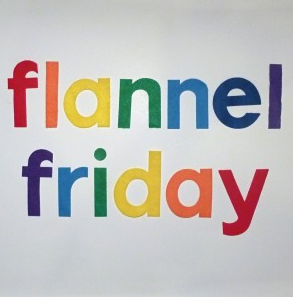 And I know it’s only Wednesday night (at least here in Texas), but I am way too excited to wait until tomorrow, so here’s the placeholder post for your Flannel Friday links! Please leave your links in the comments, and I promise that I’ll be checking as often as possible over the next two days and replying as soon as I can. The Roundup post will most likely be up late Friday night (or, possibly, in the wee hours Saturday morning,) so keep your eyes peeled! Everything will be up on Pinterest by Saturday afternoon. If you’re new to Flannel Friday and would like to learn more, you can always check out the Flannel Friday website! http://futurelibrariansuperhero.blogspot.com/2012/08/here-is-house-using-ipad-in-storytime.html From Anna–this goes in the ‘prop’/without flannel category. Cheers! What a wonderful way to incorporate an iPad into storytime! Thanks, Anna! Thanks, Sandra! Love the rhyme! I am in such a Halloween mood, it’s not even funny! Hard to believe that we still have to wait over two months for it! Love your Halloween Hilda! Thanks, Lisa! We are having a Halloween Extravanganza on October 5th! Very cute! I love the penguin finger puppets! Thanks, Sarah! Thanks, Katie! Those elephants look amazing! Got it! Thanks, Bridget! I love that teddy bear song! Thanks, Linda! I love the twist ending of this story! Happy Friday to you too, Lucy! I never thought of flannelizing Row, Row, Row Your Boat before. You did a really excellent job with it! Thanks for sharing! Oh I love this! Very creative use of a Build-a-Bear box! Thanks, Sharon! That looks so fun! And I love the Angry Birds! Thanks, Courtney! Thanks, Amanda! That’s a very cute raccoon! Here is my contribution ~ easy to make colorful seastar finger puppets! I am having so much fun making them! I even got a couple of volunteers in on the project to help me decide on how to make them all look different. LOL! Thanks, K! These look so cute! Birdsong by Ellie Sandall. Thanks for hosting! Thanks, Tara! It’s clear that you put a lot of hard work into the flannel; it looks absolutely gorgeous! Thanks, Jane! Sophie is such a cute giraffe! Here’s 3 Eggs in a Basket: http://wp.me/p17lrO-m8 Thanks for hosting!